Any orders purchased after November 15th can be returned up until January 15th 2019. 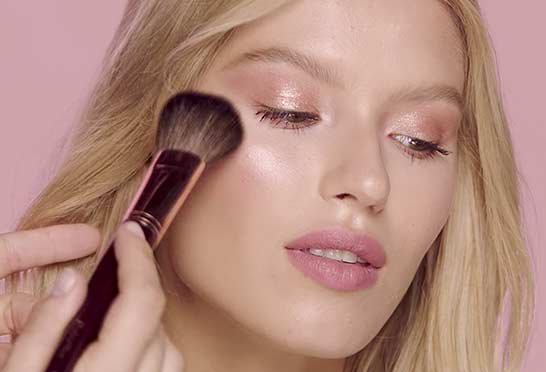 If you wish to return an item you received as a gift purchased online, you may exchange it for store credit to your Charlotte Tilbury account by following the returns procedure outlined Returns Policy here. You may use this towards a future online order with us at www.charlottetilbury.com and this will be visible as a payment method upon checking out. For more information see our Returns Policy or call our Customer Service Team at 1-855-528-8495. Between November 19th-27th please allow for an additional 1-2 business days for processing due to high order volumes during cyber week. For more information see our Shipping Information page or call our Customer Service Team at 1-855-528-8495. If you wish to return an item you received as a gift purchased online, you may exchange it for store credit to your Charlotte Tilbury account by following the returns procedure outlined in the Returns Policy here. You may use this towards a future online order with us at www.charlottetilbury.com and this will be visible as a payment method upon checking out. Ground Shipping: Order by December 17th before 4pm EST to receive your parcel in time for Christmas. Standard 2-Day Shipping: Order by December 18th before 4pm EST to receive your parcel in time for Christmas. Next Day/Fast & Fabulous Shipping: Order by December 20th before 12pm EST to receive your parcel in time for Christmas. Our warehouse will be closed on the following dates: December 25th and December 29th - January 1st with shipments resuming on January 2nd, 2019. From Friday December 28th 12pm EST all Express/Fast & Fabulous shipping options will not be available until January 2nd, 2019.